Can you imagine that website can be accessible without any net connection? 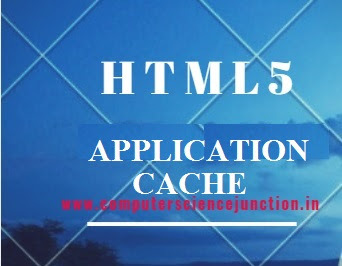 Now this is possible just because just because of html5 application cache Html5 Application Cache is an important feature of HTML5 which can store the website data in a cached version and makes it possible to access the website without any net connectivity. It helps the in storing the website on local system. 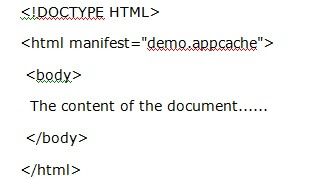 The following advantages a user can have, if a user chooses HTML5 Application Cache. Offline Browsing: Offline browsing can be possible due to html5 application cache. We can use Offline browsing through html5 application cache when we have not internet connection you still can browse the website. Speed: Speed is another advantage of HTML 5 application cache. Since the all data has been saved in cache version on local system so speed performance will be better. Reduce Server Load: In this HTML 5 application cache since browser only downloads the updated data on the server so it helps in reducing the load on the server for downloading entire website. Most of the browsers currently in use supports HTML 5 Application Cache. You need to update your browser time to time because the lower version of browser will not support HTML5 Application Cache. For example Internet Explorer 10+ version only supports this feature. In the above example just see the code . Use this line of code is to enable the application cache on the browser. In the next tutorial we will see the manifest in more detail.